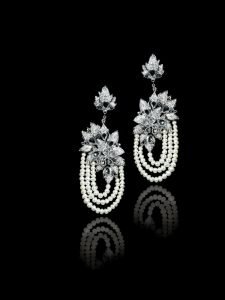 Al Mahmood Pearls, a name synonymous with the pearling industry in the Kingdom of Bahrain for the excellence it emanates in all its products, announces its participation in the highly distinguished Jewellery Arabia 2017 that will take place from the 21st to the 25th of November, 2017 at the Bahrain International Exhibition & Convention Centre under the patronage of His Royal Highness Prince Khalifa bin Salman Al Khalifa, the Prime Minister of the Kingdom of Bahrain. Jewellery Arabia 2017, the Middle East’s largest jewellery and watch exhibition, will host over 600 exhibitors of major brand names in the Jewellery Making industry from over 30 nations. 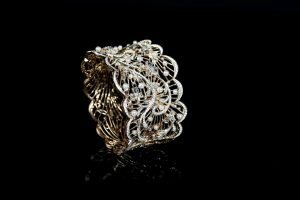 Many of these high profile international jewellery and watch brands will use the exhibition as a platform to introduce their exclusive collections and limited edition pieces to the Middle East collector’s market. Being one of the most renowned jewellery showrooms for pearls in the Middle East, Al Mahmood Pearls will be unveiling its exclusive collection of the most precious pieces of jewellery through its stand, which covers an area of over 90 square meters in the Main Hall of Bahrain International Exhibition and Convention Centre. Al Mahmood Pearls will be showcasing an assortment of necklaces, rings, earrings and bracelets made of fine 21k Bahraini gold. In addition, a new collection of pearl-encrusted tennis bracelets will be revealed, along with 18k and 21k gold tassel necklaces encrusted with natural pearls. 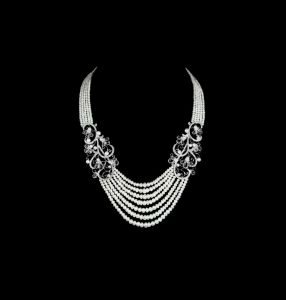 “Al Mahmood Pearls has always been known for offering unique pieces of the finest jewellery encrusted with natural Bahraini pearls. Therefore, we believe that Jewellery Arabia 2017 is the ideal platform for us to be showcasing our new collection of precious jewels. This year’s participation is going to witness the unveiling of a pair of earrings encrusted with the one of the rarest pearls in the world. Moreover, we intend to launch a collection of the rarest pearl necklaces in the world. Hence, we would like to invite everyone to visit our stand at the exhibition and take a glimpse at one of our most exclusive creations.” He added. In 1982, Abdul Razak Al Mahmood established his first pearl Jewelry showroom in the old souq and today, Al Mahmood Pearls showrooms can be found in some of the most prestigious locations in the Kingdom of Bahrain. Nearly a century ago, when pearl diving industry was at its peak, Abdul Razak Al Mahmood’s father had a prestigious job, that of a Tawash of a pearl diving team. His insights acquired through years of experience stayed within the family and this is one of the reasons why Al Mahmood Pearls is the leading dealer of the natural pearls in Bahrain. Abdul Razak Al Mahmood’s expertise in the field is undisputed and this fact was sealed in history by the then Amir of Bahrain – H.H. Shaikh Isa Bin Al Khalifa in 1998 who presented him with the title ‘Shaikh of Pearls’. At Al Mahmood Pearls, one can discover the alluring magic of natural pearls, which are directly purchased from divers. Each pearl is encased in breathtaking designs created by a team of highly skilled and artistic professionals in Al Mahmood Pearls own workshop facility. One can rightly say that each piece of jewellery at Al Mahmood Pearls is an heirloom to be treasured for generations. 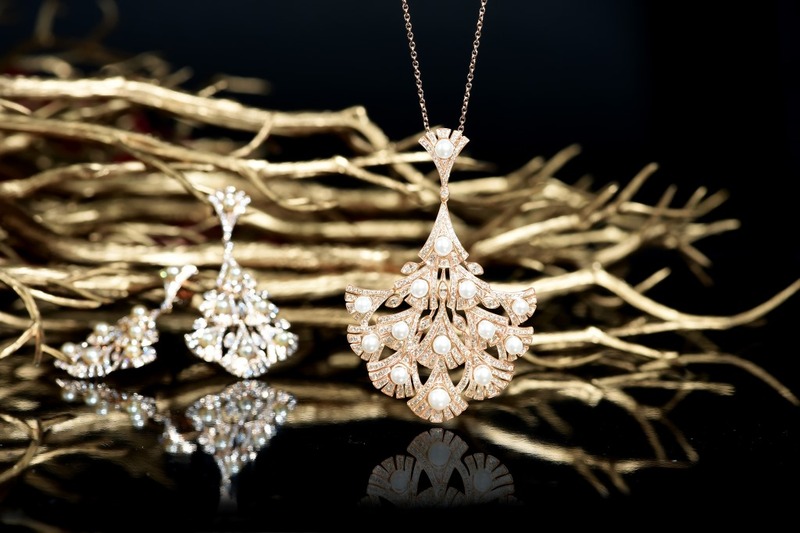 Over the years, Al Mahmood Pearls has also gained the distinction of being the sole distributor of some of the world’s most famous jewellery brands including Gioiella Fine Italian Jewellery, Yvan Tufenkjian Fine jewellery, and most notably Azar Gems, a luxury brand known for designing the finest handcrafted diamond jewellery. The 24th edition of Jewellery Arabia that was held in 2015 attracted over 45,000 visitors, 30% of the total of which were drawn from the region’s single largest jewellery market, Saudi Arabia, with significant support also coming from Kuwait, Qatar, Oman, the United Arab Emirates and other neighbouring countries. Complementing these iconic brands were large national groups of retailers, designers and manufacturers from leading jewellery export countries including Germany, Hong Kong, India, Italy, Malaysia, Singapore, Thailand, Turkey and the UK.